can any body help me to use internet on my vista os through mtnl prepaid 3g connection. if any body have configuration then provide me. Thanks a lot. with help of “putting pps3g as access point” now i am able to connect “MTNL 3G Jadoo” to my pc to use internet. I am not sure Suman, why you are still facing the issue. If you have Nokia PC Suit, then its matter of seconds and if you have not then its a little bit tricky. You have to make a connection using your Nokia Modem first and then go to control panel, then find the modem and then go to advanced tab and write the command I given to put. yes i have nokia(n 70 mobile) pc suite…can u help me…how to configure lappi(vista os) setp by step.. i hve not much idea about computer. IN PC Suit there would be an option for connect to internet, go through that. Note that you should also have MTNL’s 3G Settings in your cell.. it would be with the name of HSPDA-GPRS-Prepaid or whatever the case may be in your case. am traying to take setting for 3g jadoo for handset samsung gt s5603 but no budy helping, dolfin c care service is very very hoples.dont take 3g jadoo if u want to relax. i have sony p910i and i am using the net on the phone(it is mtnl 3g postpaid) however i am unable to connect it through bluetooth on my laptop. i had enquired from the customer care but that of no use. can you please explain me the setting( how to made in the laptop) step by step because i do not know much about it. Best be using Sony PC Suit and using Internet Connection tab there. Change the access point to pps3g and it should work, if your phone is connected to Laptop over PC. If your Laptop not getting connected with Phone over bluetooth, then its another issue that you will be needed to figure out. 5- In second tab Advanced, choose the phone modem (must be on some com port). Thanks a ton for providing the manual settings for the 3G connection setup. It took me almost 6 hours to try and configure it myself. Unfortunately, nothing seemed to work. I finally sought google’s help and here I am. I finally have the internet on my phone up and running (though its four in the morning coz of my failed attempts). Anyways, just wanted to thank you for the splendid work you’ve done to help out Noob’s like me man. Thanks again. I am no sure what problem you are exactly facing. Connecting Mobile to PC or something after that. I have a samsung B7320. I am using MTNL trump prepaid. I sent a message to 444 to activate 3G. I got back a welcome message. How do I configure my phone to use GPRS and 3G? I sent my phone info to MTNL number, but it says that my phone can not use the facility. my email id is cool821@ovi.com.my no is 9013211736: always contact me after 5 pm and please give me ur cell no if possible. I m tring very hard but not able to load the search pages .please tell me solution. is any one facing frequent disconnection after every 1-2 minutes since 18th December in delhi circle during data download or connecting via computer. please help. i have also bought data card from MTNL. But after 24 Jan i was unable to connect. it alwats show disconnect. i have contacted MTNL customer care but unable to find correct information. please let me know if MTNL has changed there 3G Settings. Can anyone tell me the setting for MTNL 3G prepaid for a Windows Mobile phone. The settings are the same as in any symbian phone. Means Server/ Proxy IP Address. You just need to figure out that where the settings are. really you are very helpful person. My problem is that i have nokia 6650 fold s60v3 3g enabled video calling not supported customized for T-mobile/u.s. But unlocked . Iused idea internet and pocket internet aircel over this phone very well but mtnl 3g settings delhi prepaid not being reached properly and thus not saved. Mtnl has only 2 model in its database i.e. Nokia 6650 and 6650 classics. If is there anyway to use 3g service on my phone. Plz help. i have another problem with mtnl 3g after manual setting i got internet working but data charged is enormorous with in minutes the 50 mb data was spent even though nothing was uploaded or downloaded. pathetic..
Yeah Sure that’s a trouble with MTNL.. Hoping that situation will improve once other players come in… meanwhile you could give Idea Internet a try.. it cost 20/- per day for internet. it’s a good job you are doin by helping so many ppl. i have a samsung corby pro and stay in mumbai,would u by any chance know the settings for mumbai,or is it the same? i have mtnl 3g connection i can acess net in my phone. *99# is the number to be dialed. As about your error “Subscribe to Packet Data”, you seem not subscribed to particular plan HSPDA or 3G one or might be the case that its not added in the default connection of phone. Try to get settings from Subscriber side and then save it as default. It should work fine then. I m able to acess internet in my pc. Aditya!! I guess the reason behind the same must be your set itself. Nokia 7210 Supernova doesn’t have 3G means you are bound to get a maximum of 232 kbps that’s a max for Class 32/ Edge, if I am not wrong. I am having HTC Touch Pro 2 with Windows Mobile 6.1. Check your Balance and also change your network to UMTS only, if there is some option for the same. Restart the phone, if network is showing there, then Internet should work now. i tried all the settings mentioned above but nothing worked… it is for prepaid connection..
Have you got the subscription enabled from your provider? Set MTNL as default one, also use initialization commands. First connect your cell via Nokia PC Suit in Vista, then check in control panel, there must be a modem in name of your Nokia N95. Then you have go through “Connect Internet” option in Nokia PC Suit. Here in setting, choose Nokia Software Modem as modem and then put pps3g as access point and leave rest as blank. Now, try to connect and it should go for sure. If not activated GPRS on your set, then you could send ACTGPRS to 444 to activate. For manual settings, you need to create a new access point in your cell yourself with settings as I mentioned in other comments. not sure dear.. have to check over some blackberry that where access point settings are .. then create a new access point in any name with manual setting as I mentioned in previous comments and then go for it. the settings received from MTNl are not working it says ‘active packet data connection required’ as per customer care of MTNL i have active packet data connection and my balance is more then Rs.50/- to have data connection. For the first hand resolution, go to settings and change the network type to ‘UMTS’ in place of default ‘Dual’. Although as your error says, it should not be the exact case, but give it a try. Hi nitish, i have nokia 5800 and my phone is on UMTS mode MTNL 3G, added manually 3g gprs settings and made it the deafult connection. What could possible be wrong?? Only having the settings not sufficient. You need to get the services activated from your provider that would be MTNL. Hello Nitish..From 31st May onwards all the MTNL customers in delhi are automaticaly trasfered to 3g networks. I have never seen 3.5G written below the signal bar before! DO i still need to send ACT 3G on 444? Network Availability and Subscription are two different things. My bro’s phone in Azamgarh, UP showing 3G but 3G not activated in UP yet, neither do he is able to access net. That’s why I mentioned that you should try that. Though I doubt that the keyword would be same. Confirm Customer care once. You have mentioned setting for pre paid connection only I have post paid connection and one need to put mtnl3g in place of pps3g. Now my problen is that i am able to run internet on opera mini but not in default web brower. I have Nokia E63. If its saying that there is Hardware failure, then you have problem with your connectivity cable drivers. Dialing modem will only work if PC Suit or Ovi Suit getting connected. it says so only wen i wrote extra initialization string. when i connect my phone to pc it shows “Subscribe to Packet Data first”. When i choose settings on my phone “TRUMP GPRS”, my gprs is working fine on 3g network by showing “G” and other settings are not working. What could be the problem with my service provider or with my phone? Good news is.. Your handset supports 3G. Bad news is .. G doesn’t stands for 3G, it will show up like 3.5G and Trump GPRS settings are for Phone only not PC. Your 3G seems not activated as of now. It will show up as 3G-GPRS-Prepaid. Get that activated with help of Customer care first. It should work then. For PC connectivity, following the instructions in my comments above. I talk to customer care and he tell me that 3g is activated on my phone as my network signal shows 3g and speed is so fast on my phone opera browser , when is shows G.
That’s OK, but Trump_GPRS is for WAP and not for PC usage. For PC usages, you need that particular Access Point that I am talking about. Though speed depends on your area, but most of the time you should achieve 2mbps+ at least. As about settings, then you could check out my replies in above comments. your issue resolved or still pending? As my mobile is Nokia 2730c so it’s max speed is 460Kbps . but mtnl plans are so much expensive. I am waiting when they lower down the prices for unlimited plan. Cant get settings to work with HTC Desire on a Dolphin SIM with 99 Rs Topup . DOne everything the MTNL call centre suggested but shows connection error. MTNL helpline is as good as a chocolate Teapot! The most easy shot would be looking at if you are not running out of balance at first place, secondly check if everything right with your 3.5G signals. Hi Nitish, I have an HP Mini 110 1001tu which has a SIM slot in it for 3G mobile Broadband i.e. that you can connect to the internet just inserting that SIM in your laptop, however I haven’t had any success with it. I would really appreciate if you could guide me or provide any info regarding the same. Have you tried the way in above comment? u R OF lot of help to many 3G crazy people like me. I am using Nokia 5630D. It is a 3G phone.I am activated..(or told so..) by 3G Jadoo ,MTNL,Delhi. I am getting signak 3.5G. But, the thing is..I am getting connected to Internet only through GPRS i.e 2G. Is there any way to know whether I am connected through WAP/2G/3G/ or HSDPA (3.5G)..? and set that to UMTS mode. Then it will run only 3G not 2G, though will drain battery as 3G does. If your Internet will be working then, it has 3G activated and you have settings. Why I am so particular is.. when I Paid for 3G, why should I get 2G only. To be frank..even TRUM GPRS Speed is quite OK for me. Even on PC, I am getting good speed. anyway..thank You..I suppose ..MTNL have not activated 3G for me. That’s why I am getting connected through Trump Gprs. Yes! it seems the same case. Tell their customer care the same thing that you are not able to access via pps3g APN. Probably they will send you new settings or might be something with your plan itself that they may mention. Basically they are providing 3g through APN mtnlppsdel so you don’t need any other APN , you can check by speed and bandwidth provided to you, 2g service support only around 144 kbps and 3g service support 2Mbps bandwidth and minimum 256kbps speed on your phone/pc , i am using 3g on my phone Nokia2730c but in my case my phone support only around 384kbps bandwidth it is showing on my pc network when i connect to internet through my phone. hi i have nokia N79 and i have a mtnl 3g connection on my mobile and i can use it well on my phone browser but it shows “connection failed” when i use the internet through softwares like ,”opera mini, mig33, ebuddy, nimbus,…..etc”. I tried this option in the settings “Act def in all apps” in my phone but of no use……..Pls help…. Go through the manual settings. Make one and use the same. I can not conect it with mtnlppsmum apn on my lappy. its not connecting via pc suite also. But after searching, i tried to connect it via ‘gprsppsmum’. And volia, its connected now. But main thing is that, i am not getting enough speed on pc. My max downloading speed is 45KBps with idm. I am using 5230 with umts only mode. I’ve tried it in many places. Is there any solution for this? Oe any apn for 3g? fyi. pps3g is also not working. Mate, the download speed you get is in fact 1/8 of the speed mentioned. Its difference of bits and bytes. Means if we are talking about 1.6 mbps then download speed you get via IDM etc will be around 200 kbps. Means 45 kbps going around 512 kbps for you. 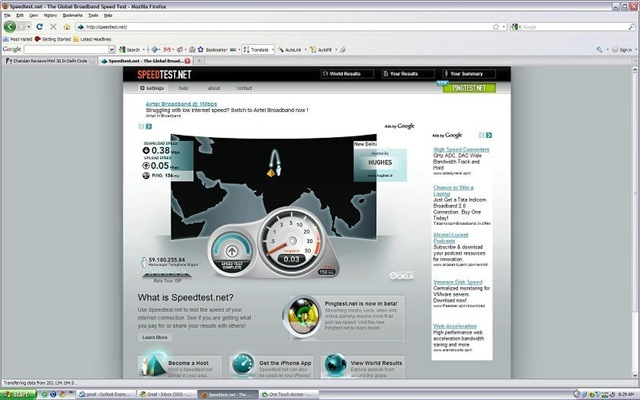 You must test your connection again speedtest.net That will clear the confusion. It also depends on what you downloading and from where you downloading. If they have restricted their upload speeds, then you can not gain more. Next, your set has 3.6 HSDPA but 3.5 mpbs of speed that come through 3.5G is spread over a GSM cell and shared among all the users connected to the same cell. That explains lower speeds at some places. Just read ur blog, and I find you, the right person to solve my problem. the support system of mtnl is very poor, so i’m not getting a proper setting for my mobile to run the internet, ….somewhere i got some setting, that help to run my widgets, but the normal sites are not opening in my mobile. so can you plz, tell me the right setting for my phone? The settings you might have got must be wap only that is MTNL GPRS, you need to configure and set as default the HSPDA settings that should go by APN “pps3g”. Check the comments given above for complete settings. keep rest as it is…. these shud just wrk grt.. i use dem evryday..
oh.. the pass is in small caps… mtnl123 not caps..
ya iused that APN….but again, only the samsung widgets and android widgets are running, i can;t open the browser….to access the net……. I have used ur settingd with apn- pps3g or ppshsdpa,but the net is not plying again I used apn-gprsppsdel,the H sign appeared,here I can use the rebular widgets,but cant run the.internet through the browser. What will be the exact setting for samsung galaxy s,? and one more thing, ur saying…ur using it everyday….does it means, u have to set the apn daily to access the net? Have you checked your web setting defaults via browser settings? No buddy, I dnt hav to set APN daily.. I was saying that it works just great in my daily use. Did you use proxy with the settings I gave you? as soon i changed the apn to PPSHSDPA and deleted the proxy etc….the H icon disappeared and now no widgets/internet is running…..!!! In place of PPSHSPDA, try only pps3g. Name and APN both should be pps3g. Name is only significant for the user purpose, while the APN plays the main role. nothing is happening….its feels very frustrating……. edit your APN settings, from Settings->Connectivity-> settings-> Destinations-> 3G Prepaid and change the APN name to “pps3G”. also delete postpaid one from settings. I have nokia n8 and mtnl gprs as well as 3g are not owrking on it, please can you provide me with setting for mtnl 3g and gprs on nokia n8 in mumbai. hey guys,never posted on any blog but tempted to do so. mtnl 3g delhi user using nokia 5800.pps3g not working for connecting to ur laptop through ur mobile. 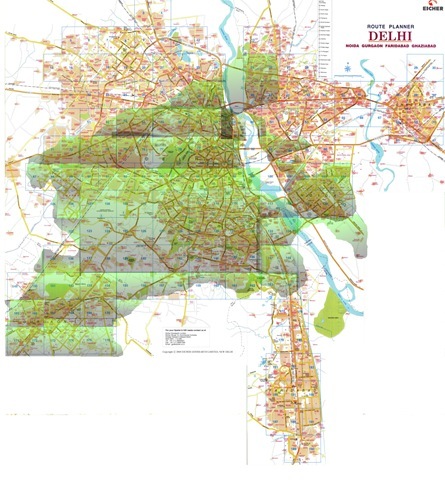 instead of gprsppsmum use gprsppsdel for delhi users. use username as MTNL and password as mtnl123 it is working fine. my model nokia c2-02. have trump gprs config setting. my net is not working. do i need to creat an acces point or what?? coz dont have had panic in nokai5320. there ijust use trump gprs as my config setting and activate in all apps. plese explain. i m all so confuse. it shows communication error(006) or suscribe packet data first. Thanks for playing the role of customer support to numerous MTNL customers. Infact MTNL top bosses should acknowledge your endeavour. Dear friend I too have been facing an issue with my 3G Jadoo prepaid datacard.A few days back my SONY Vaio laptop’s BIOS got infected with a virus, hence that went for a service at a Sony service centre. Now when I started using my Vaio with the same old MTNL 3G datacard it’s getting connected to net through the default MTNL Prepaid profile that has ‘gprsppsdel’ as the APN and hence obviously I am getting connected via gprs and not the 3G. Could there be an issue with my recently serviced laptop (modem settings). Please advise and oblige. Hey Nitish i m using nokia 2730 classic with a 2g sim. I got my settings from cust. Care nd i m able to connect to internet. BUT I M NOT ABLE TO connect java applications to internet. When i open nokia ovi app it showed to set access point. I created an access point as u told(pps3g). Bt i m still unable 2 connect using java application. how r u? 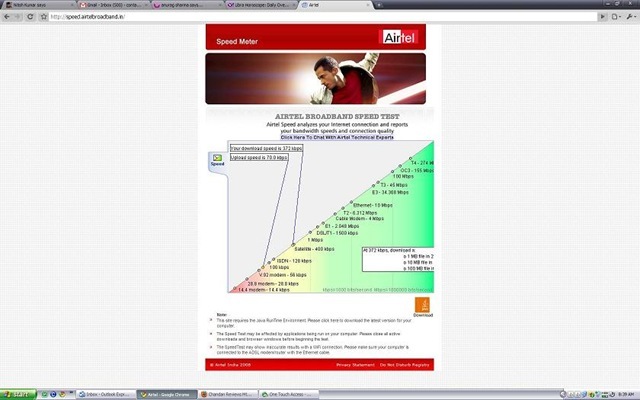 pls tell me how can i check mtnl 3g GPRS speed. i m using nokia n95. I have same problem on my pc with windows 7 can some on help ?